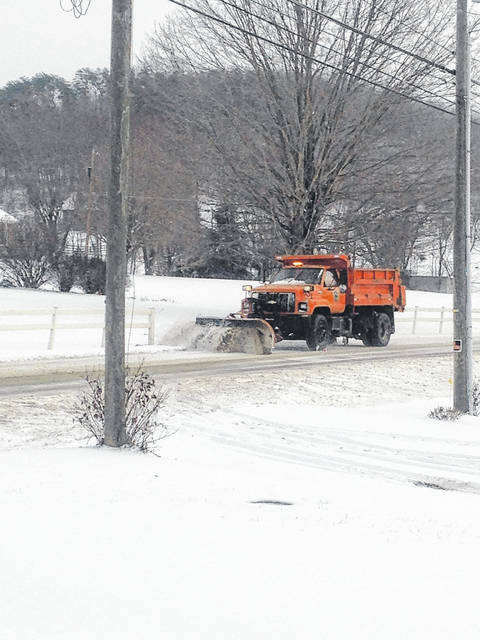 Scioto County road crew treating Lucasville Minford Road, Saturday, 10:06 a.m. during 16 degree temperatures. The same area of the Ohio River front before the snow storm this past weekend. Ohio River in Stout, Ohio taken Sunday, January 14, 8:00 a.m. after the snow storm passed through the day before. Many local events were cancelled this past weekend due to the ice and snow Southern Ohio received overnight Friday into Saturday. 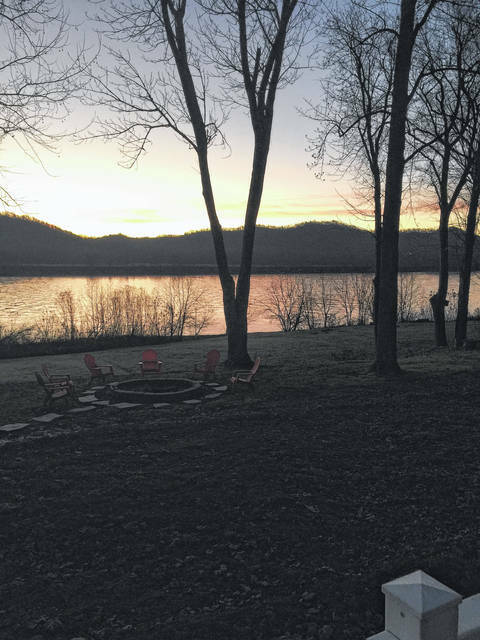 The Daily Times delivery of the Weekender edition, Saturday, January 13 and the Community Common were delayed due to the extreme weather and road conditions. A Level Two Snow Emergency for Travel was issued by Sheriff Marty V. Donini at 7:50 p.m. on Friday and remained in effect until Saturday evening when he downgraded the level to a one. As published in the Daily Times, Friday, January 12, by Kathleen Fuller of Ohio Department of Transportation District 9, “(Salt) is very effective down to 21-20 degrees, but once it gets below 20, it starts to lose its effectiveness we’ll use a calcium-chloride spray which helps it make it react at a lower temperature, so we will continue treating with the treated (sprayed) salt,” Fuller stated. 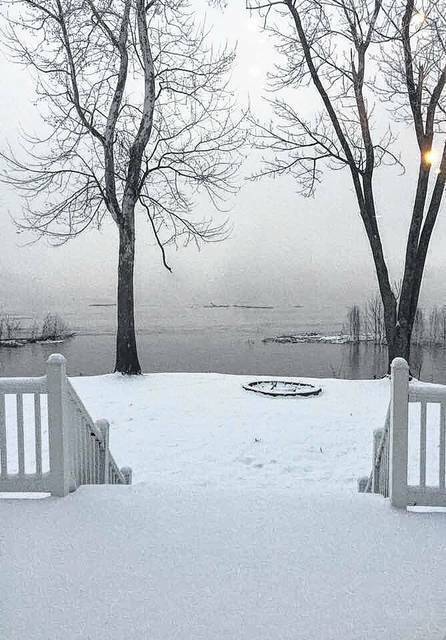 An average countywide snowfall of four inches was reported with isolated higher amounts in a few areas over the weekend, per the Ohio Department of Transportation. Ice remains on roadways in some areas of the county and some secondary roads are snow covered. If you must drive, use caution. Dress warmly if you will be heading outside. A Hazardous Weather Outlook from SCEMA Sunday afternoon for Northeast Kentucky, Northern Kentucky, Central Ohio and Southwest Ohio advised of more inclement weather for the week ahead. Sunday through Friday, snow is expected to move through the region Monday into Monday night in association with a clipper system. Snow accumulations of 1 to 2 inches with local higher amounts will be possible. Wind chill values between 5 below zero and 10 below zero will be possible Tuesday night into Wednesday morning, and then again Wednesday night into Thursday morning. https://www.portsmouth-dailytimes.com/wp-content/uploads/sites/28/2018/01/web1_county-truck-1.13.18-1.jpgScioto County road crew treating Lucasville Minford Road, Saturday, 10:06 a.m. during 16 degree temperatures.